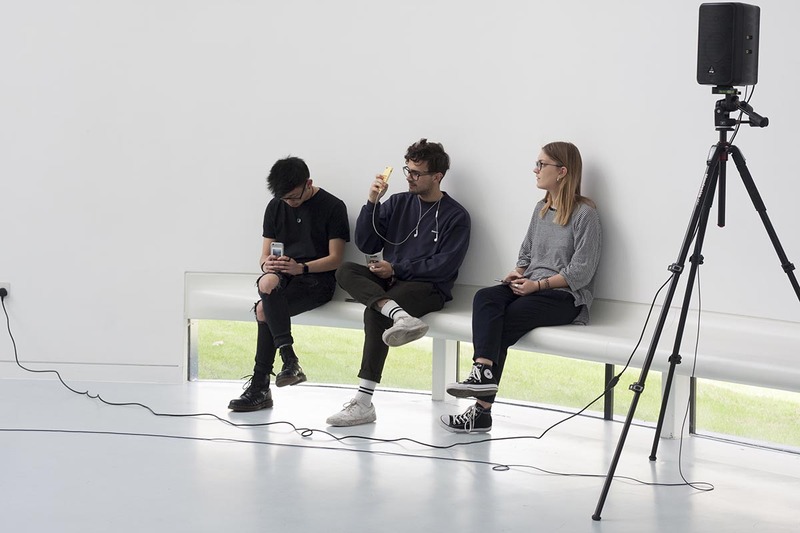 Our Chief Article Writer Brittany Sutcliffe shares her thoughts on an exhibition of sonic works by “The Noematic Collective”. 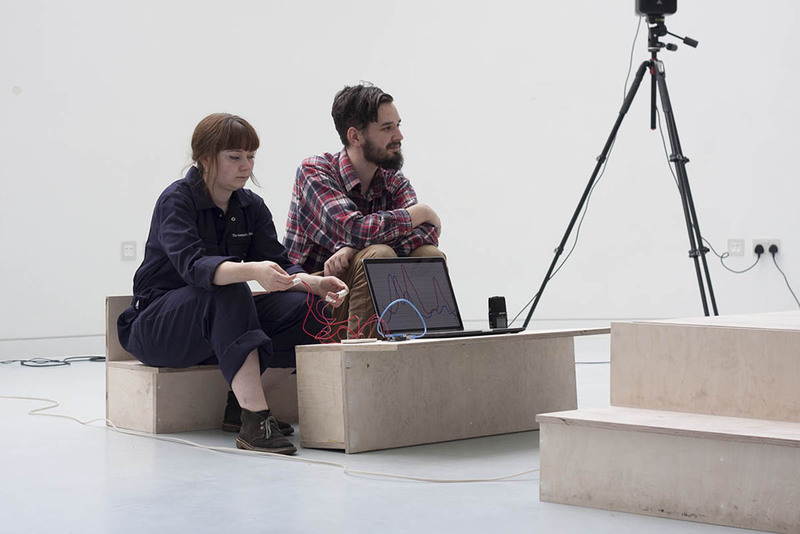 Our Graduate-in-Residence, Sian Hutchins, is back with more noise. 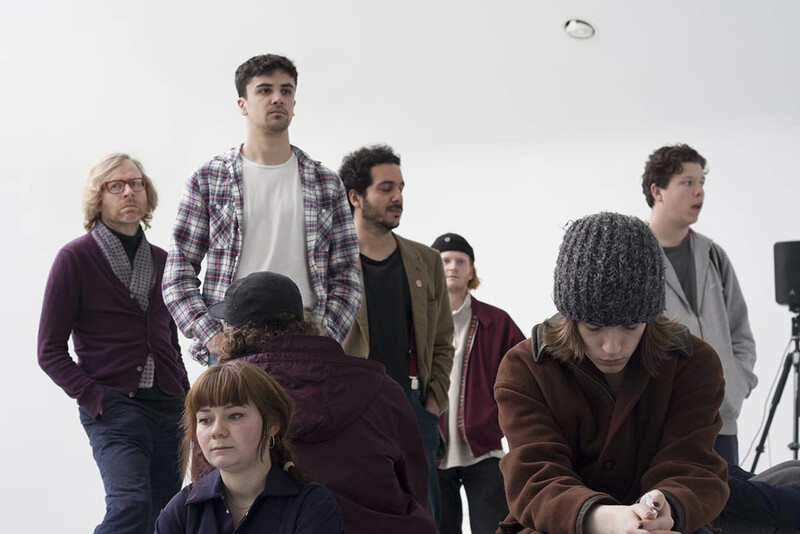 Before we had The Bandstand in the Lower Gardens, this time it’s “The Noematic Collective”, utilising a beautifully designed space on our very own campus, The Crab Drawing Studio. Not to be confused with responding to actual crabs, the sounds were in response to the studio. This was interpreted in different ways, with Chloe Roberts wanting to make you rise up and out the huge skylight and Sian herself focusing on the purpose of the building, recording satisfying pencil glides. As I entered, everyone was sat in the centre of the studio, surrounded by speakers with a meditative, almost religious sound reverberating off of the walls. The relationship between sound and architecture is often overlooked but when faced with a building with such visual atmosphere as The Crab, it’s begging for a little more pathetic fallacy. The audience were sat with heads down, just taking it in, as though in prayer. It’s hard not to feel exposed or intimate despite the openness of the space, I think that’s where the spiritual parallels are being drawn from for me. The high ceiling of a church and the absolute silence in respect for what’s being played. The curvature and inescapable lighting, singling you out, the sound catching you and forcing you to question how relaxing the space is when you’re confronted by ominous thumps and breaths. I felt like an animal or a meteorite was going to burst through the skylight and I would have been easy prey. Very Stanley Kubrick. A bit of performance from Oscar and Toby, attending to their suspiciously labelled and uncomfortably close “crab” bucket. Catching their fingers on the way out, the room started to gurgle as the guys played what they had recorded from the Oceanarium in town. Actual crabs. Phwoar. What a revelation. All in all, I’m pretty chuffed. Thank you to everyone who came, you listened respectfully.